The École Polytechnique Fédérale de Lausanne (EPFL) is the Swiss Federal Institute of Technology in Lausanne, Switzerland. The EPFL is ranked the world's 18th university in the field of "Engineering/Technology and Computer Sciences" in the 2008 academic ranking of world universities by Shanghai Jiao Tong University . The EPFL is in the heart of Europe and is one of Europe's leading institutions of science and technology. In the communication field, EPFL is considered among the top three universities in the world. The EPFL operates a nuclear reactor, CROCUS, a Tokamak fusion reactor, and P3 bio-hazard facilities. Following the nomination of Patrick Aebischer as president in 2000, EPFL has started to develop into the field of life sciences. It will absorb the ISREC (Swiss Institute for Experimental Cancer Research) by 2008. 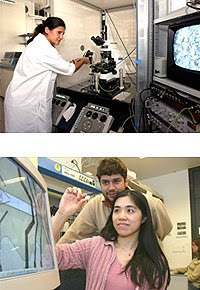 EPFL offers 13 complete study programs at the Bachelor's and Master's levels in engineering, basic sciences, computer and communication sciences, life sciences, civil engineering, architecture and the environment. These study programs are designed to be flexible and modular. They meet the requirements of the Bologna accords and as a result, students can take advantage of a wide array of exchange opportunities, and the degrees they earn are internationally recognized. Within EPFL's Doctoral School, PhD students share ideas, provide mutual support and intellectual stimulation, and round out their education with high-level specialized courses. PhD students benefit from EPFL's scientific expertise and excellent infrastructure. Students in EPFL's School of Continuing Education have the opportunity to strengthen and update their skills and knowledge, giving them a competitive edge in a rapidly evolving professional environment. The School offers a wide range of courses from seminars to postgraduate Master's degrees. These modular programs can also be adapted to meet individual companies' needs. With more than 250 laboratories and research groups on campus, EPFL is one of Europe's most innovative and productive technology institutes. The School's unique structure facilitates transdisciplinary research and encourages partnerships with other institutions. EPFL emphasizes both fundamental research and engineering applications. The campus offers services and facilities to transform scientific excellence into economic competitiveness, jobs and quality of life. A start-up incubator, coaching services, study programs in entrepreneurship, and innovation programs all serve to stimulate the links between lab and business. The Science Park on campus is home to more than 100 enterprises and numerous investors. EPFL is rich in new technology, research infrastructure, academic partnerships and other numerous forms of collaboration, making it a particularly attractive environment for start-ups and technology enterprises. The environment at EPFL is one of exchange and interaction. With 107 nationalities represented on campus and more than 50% of our professors coming from abroad, the School is one of the world's most cosmopolitan universities. At EPFL, women benefit from a policy of active promotion and support at all levels. The proportion of female students has increased by 30% over the past five years. 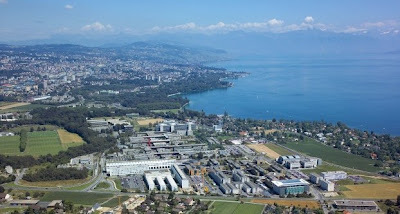 The EPFL campus is contiguous with that of the University of Lausanne, an institution that excels in economics, the social sciences and humanities, as well as in earth sciences, biology and medicine. Taken together, the two campuses count 25,000 students, nearly 10% of the population of the larger Lausanne metropolitan area. This gives the city a unique dynamic. Lausanne offers students a wide palette of cultural and sports activities, unusual for a city of her size. 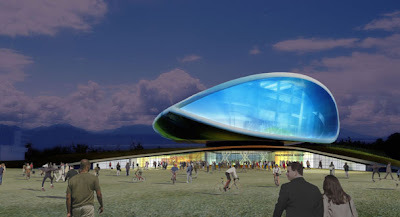 Lausanne is also known internationally as the seat of the International Olympic Committee.